For a carefree lifestyle with homestyle comforts, Bellsun Apartments is the place to be. 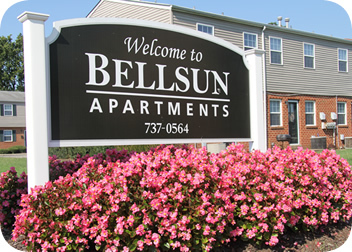 Bellsun is a great value in the East End of Henrico County. You'll love our spacious layout that offers you more of everything ... except cost! These 2 bedroom, 1 bath townhomes provide almost 1000 square feet of comfortable living in a convenient location.